The White Album Ensemble is a 5-10 piece ensemble that covers Beatles music, but Beatles music that was never performed live. The Beatles stopped touring in 1966, and began a recording career that yielded the "classics of our time" from "Rubber Soul," to "Sgt. Peppers," to "Abbey Road." Excited at the possibilities of performing at the observarory for the fourth year in a row, the group will opt for a minimal, 5 piece, "unplugged" sound, focusing on the vocal harmonies and beauty of songs like "Across the Universe," and "Fixing a hole," and "Because." The band plans to use keyboards and guitars, but no bass or drums so the sound can be contained. 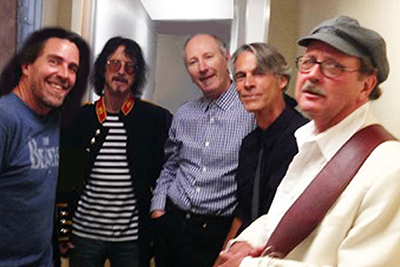 Performers this year will include Richard Bryant (vocals), Omar Spence (vocals), Ken Kraft (vocals and guitar), Stephen Krilanovich (guitar and vocals), and Dale Ockerman (keyboards and assorted instruments). Visit the White Album Ensemble website for more information. 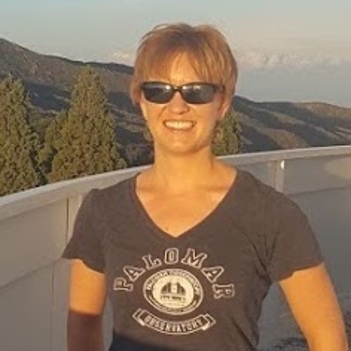 "Meet the Neighbors: Searching for Nearby Planets with the Transiting Exoplanet Survey Satellite"
Courtney Dressing is an observational astronomer focused on detecting and characterizing planetary systems orbiting nearby stars. She got her PhD in astronomy and astrophysics from Harvard University. Courtney uses telescopes on the ground and in space to search for planets, probe their atmospheres, measure their masses, and constrain their bulk compositions. She is curious about how planets form and evolve with time, the frequency of planetary systems in the Galaxy, and the prospects for detecting life on planets outside of our Solar System. Her research interests include searching for small, potentially habitable exoplanets orbiting nearby stars, constraining the frequency of planetary systems orbiting low-mass stars etc.